Sandy Family Restaurant is a dining experience for the whole family. Enjoy breakfast all day, especially when you want breakfast for dinner. Sandy Family Restaurant features a fully remodeled interior. Enjoy our home cooking dinners, which we're sure will please everyone. We are Sandy Oregon’s newest Family Friendly restaurant, and the only restaurant in Sandy to offer breakfast all day. So, if you want pancakes for dinner, we have you covered! We are located in Downtown Sandy, right next to the remodeled Sandy Public Library. Our fabulous food choices include dinners with entrees such as country fried steak, roast turkey, chicken strips, pot roast and chicken fettuccine as well as seafood, burgers and sandwiches. Salads include Caesar, bleu cheese steak and chicken walnut. Our dessert options include pie, cheesecake, gourmet chocolate cake and gourmet carrot cake. 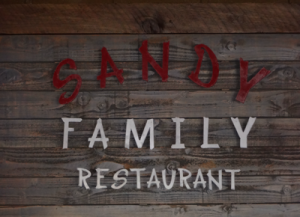 Stop on in, and enjoy the full renovation we have done to the building, including new floors, tables, paint and casual decorations, that will ensure that Sandy Family Restaurant is your new favorite Sandy dining destination. Sandy Family Restaurant is Sandy Oregon's newest family style restaurant, featuring quality food & beverages at affordable pricing, including an all day breakfast menu.